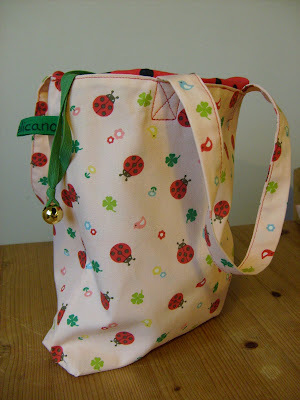 For an active little girl who goes dancing I designed this combined tote/draw string bag. 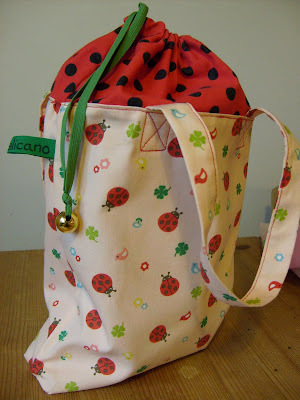 It has the cuteness of a little tote and the practicality of a draw string bag so the ballet shoes don't fall out! 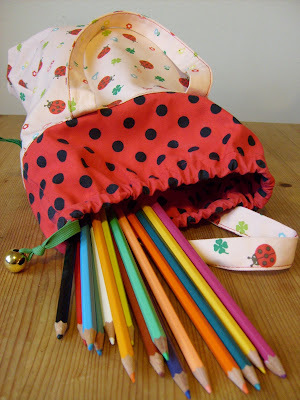 The bag is lined with the polka dot fabric which sticks out at the top with the draw string. 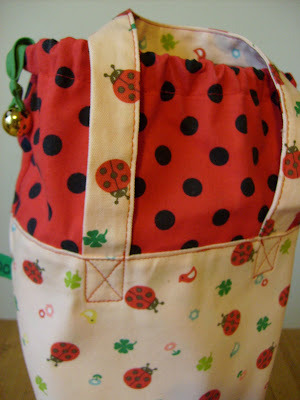 The lining/draw string bag is sewn on to the tote. 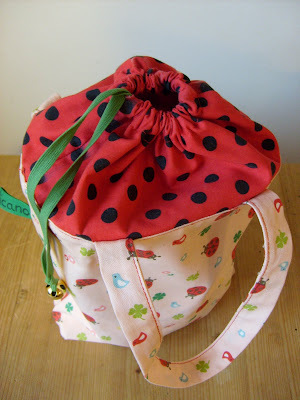 Note: Let me know if you are interested in a tutorial for the "Big Jumps" gym bag! You are welcome to use these ideas but I would really appreciate it if you link to my blog/post! Thank you! And have fun! O tutorial virá depois do Natal!